in search of a well-rounded introduction into teaching the singing voice? needing to gain confidence to go out and teach? hitting the proverbial brick wall with your current knowledge/skill? not sure how to start your teaching business? looking for a well-sourced, structured and highly relevant singing teacher training programme? interested in teaching in a non-classical vocal style? hanging out to meet other like-minded singing teachers? 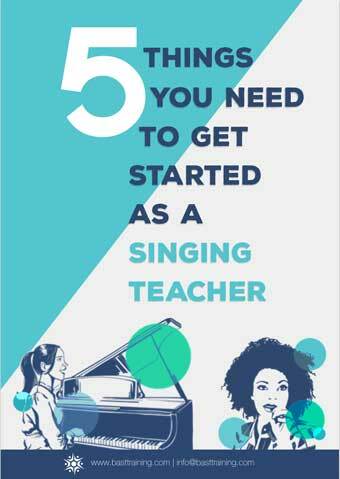 keen to train as a singing teacher but not in a specific methodology? Well, BAST Training to the rescue! We can help you gain the knowledge, skills and understanding you require to be a great singing teacher. How do we know? Because we have over 400 singing teachers who have attended our singing teacher training 20 hour course or live events, and they have told us so! Lovely to meet you. A bit more about us. BAST – full name ‘Be A Singing Teacher’, is primarily a comprehensive singing teacher training course. We also host live and online singing teacher events, and most importantly we are a community of singing teachers. Yay! We’re guessing the reason you are here is because you are keen to build on your knowledge, education and skills, explore the science behind singing, experiment with newfangled teaching ideas, build your resources and network, and maybe get a bit geeky when hanging out with like-minded folk. Confession, that’s us too! Thank goodness we found each other. At BAST we love working with the kind of singing teachers who wish only to be the best for their students. FB Group: a community of singing teachers from around the world who love talking shop! Why not explore the site more, make yourself at home…before you do check out the videos to the right. They’re about the 20-hour course and training retreat we run. If you want to find out more about who’s behind BAST then click here. Looking forward to growing in strength and knowledge with you. Join a community of singing teachers who love sharing their knowledge, experiences and job opportunities. In the BAST Facebook group, you can meet past BAST students, our Trainers and other singing teachers from around the world. Here we encourage you to ask questions, pose controversial singing and teaching theories and share your story.